Master social media marketing, Facebook ads, Instagram ads, Pinterest ads, Twitter ads, YouTube ads, and Google Business! Learn how to start an ad agency! Learn all the ins and outs of email marketing! Become a web developer and study for your AWS certification! Learn how to sell on Amazon, Shopify, and Etsy! START WORKING FOR YOURSELF TODAY! CLICK HERE TO JOIN NOW FOR JUST $10! We at Coursenvy have paid thousands of dollars for degrees, conferences, webinars, seminars, online courses, and more, over the past decade to become MASTERS in our fields and businesses! Paired with our hands-on experience (our client list of 500+ businesses) from managing everything from Facebook ads, to Shopify stores, to Etsy shops, to Google/YouTube ads, to SEO, to Amazon FBA, to Social Media Marketing PPC, and more... our students consider us the leading online course provider, averaging 4.5/5.0 stars on over 150,000 student reviews! Don't waste your money GUESSING with eCommerce, SEO, PPC ads and online marketing. MASTER all the platforms first with our courses, THEN jump into building ads, product listings, and marketing campaigns with CONFIDENCE! Don't waste money on incorrectly built ad campaigns... we are here to help YOU understand online marketing strategies inside and out! There is some incredible content online and amazing courses out there... but the wide price gap is upsetting to us! We at Coursenvy want to give back to the entrepreneurs and small business owners we love! We have created the ALL-IN-ONE resource we wish we had years ago when just starting out with our online businesses. We have compiled many gems from each learning vehicle out in the world and combined them with our own hands-on experience, ALL to create this COURSENVY MASTERY BUNDLE (over a $2,000 value)! This course offers you ALL our Coursenvy Courses in one convenient bundle! CLAIM $1000'S IN SAVINGS TODAY! I have been selling online since 2004! I began my path into entrepreneurship as an engineering major. Once I began to learn coding in my college courses, I started to build niche keyword websites, then I would use growth hack marketing techniques I learned online to grow their traffic/revenue, then I would flip them for a profit. This is actually how I paid for my college degree! Now over a decade later, I have built hundreds of websites, marketed and sold thousands of products online, consulted hundreds of clients/businesses, and built multiple successful businesses myself! After finishing in the Top 8 for the Entrepreneur magazine 2014 Entrepreneur of the Year, I sold that startup and focused solely on my Amazon stores and ad agency. But friends started to ask how they could do the same stuff I was doing (i.e. work from home in their pajamas), so I built this course bundle and began sharing my knowledge with the world! JOIN OVER 150,000 STUDENTS IN THE TOP RATED ONLINE COURSES! WATCH THE COURSES/LECTURES YOU WANT! 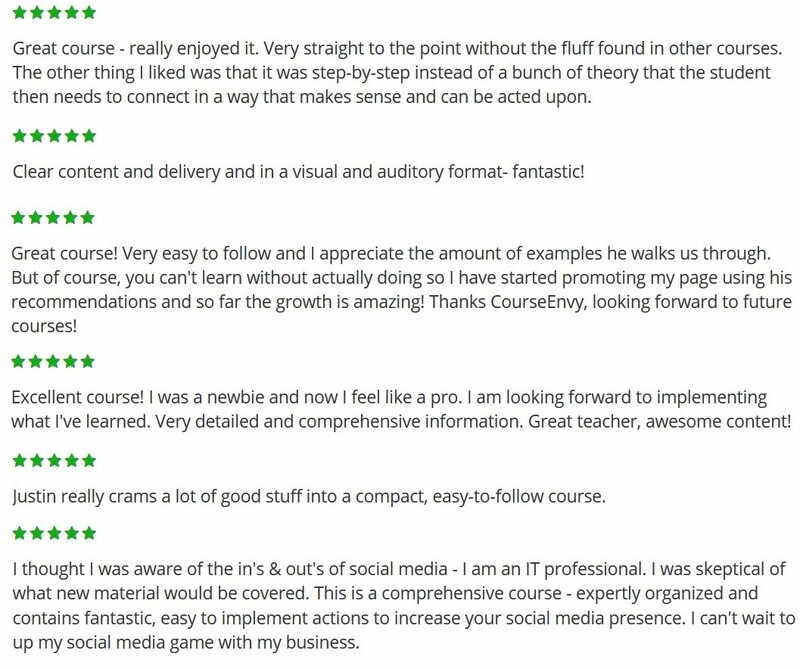 THINK OF US AS THE NETFLIX OF TOP-RATED ONLINE COURSES!